Project Pillowcase: Get your sewing group, and get involved! Once a year, Griffin's Guardians will collect newly sewn pillowcases from local sewing groups to donate to Golisano Children's Hospital in Syracuse. When a child is in hospital inpatient, they are given a child-themed pillowcase. We experienced first hand the sense of normalcy this brought Griffin, when he received his hockey-themed pillowcase -- and the smile it brought. Pillowcases can not be sent directly to hospital, so Griffin's Guardians will be the contact organization, and will follow the guidelines according to the ConKerr Cancer website. The next deadline﻿ to be part of Project Pillowcase is April 1, 2019. If you would like to "get in the game," please be sure to contact Erin Engle and let her know you would like to participate! 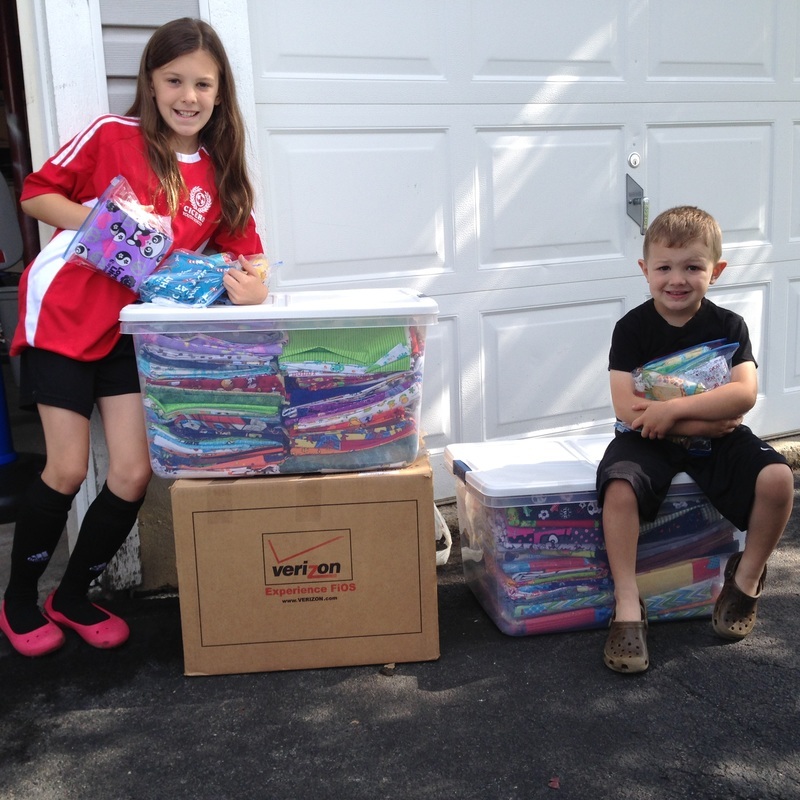 Project Pillowcase has been a huge success with more than 750 newly sewn pillowcases, sent from all over the country! We know how many smiles these child-themed pillowcases will bring to the children who have to spend the night in the hospital. Thank you to everyone who participated in this very special project!